You’ve probably heard about Snapchat. It’s the popular mobile app that allows you to send videos and pictures, both of which will self-destruct after a few seconds of a person viewing them. Snapchat is also a fun messaging app. You can take a photo or a video with it, then add a caption or doodle or lens graphic over the top, and send it to a friend. Alternatively, you can add it to your “story”, a 24-hour collection of your photos and videos, which you broadcast to the world or just your followers.Those things are part of the various features within Snapchat. At its core, Snapchat is used to send photos and videos – called snaps – to friends. Your friends can view snaps for up to 10 seconds, and then they disappear. While that’s all fine and dandy, many people are still left stumped by Snapchat. If you’d like to learn all about Snapchat and how it works, keep reading. 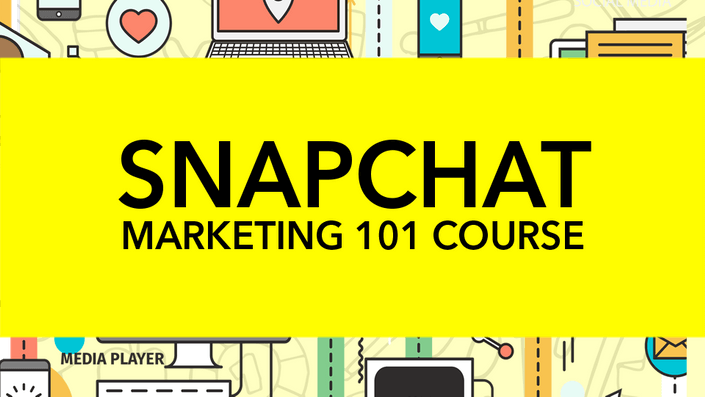 This course covers the basic background of being an SnapChat marketer. You will learn the mechanics behind SnapChat marketing and SnapChat’s Partner Program. You will also learn how to view statistics and how to use SnapChat at live events to get followers and influencers. This course will also teach you how to integrate SnapChat with your site and social media.